Marlet Flooring is a premier builder in Mascot that specialises in subcontract local construction projects such as external wall framing, wall & ceiling systems, window installations and much more. Marlet Flooring is a premier builder in Mascot that specialises in subcontract local construction projects such as external wall framing, wall & ceiling systems, window installations and much more. Our organisation has been established for more than eighteen years. We are a distributor of 3 good bathroom brands in overseas. We import these goods only for the tender job. 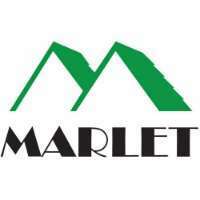 Marlet Flooring is 100% Australian owned & operated company that specialises in import oversea goods and subcontract local construction projects. If you are looking for the best builder in Mascot that specialises in wall framing, window installations and walling systems, call or visit Marlet Flooring today!